"Everest" excitement: After its high profile opening night launch last month at the 72nd annual VeniceFilm Festival, "Everest" is now ready to scale the boxoffice heights. Universal, Cross Creek Pictures, Working Title Films and Walden Media's PG-13 rated IMAX 3D action adventure "Everest,"began its boxoffice climb last weekend solidly in fifth place at just 545 theatres in IMAX 3D and premium large format 3D screens. It grossed an encouraging $7.6 million and was also well received by the critics. "Everest"also did well internationally, opening in 36 territories to $35.8 million. Meanwhile, last weekend's number one film, "The Maze Runner: Scorch Trials,"opened via Fox to $30.3 million at 3,791 theatres. Warner Bros. launched "Black Mass"in second place with $23.4million at 3,188 theatres. This weekend "Everest"goes wide in standard 2D and 3D, facing competition for the boxoffice summit from Columbia and Sony Pictures Animation's PG rated 3D monster comedy adventure "Hotel Transylvania 2"at about 3,600 theatres. Also opening wide is Warner Bros. and Waverly Films PG-13 rated comedy "The Intern" at about 3,150 theatres. Directed by Baltasar Kormákur ("Two Guns"), "Everest's"ensemble cast is led byJake Gyllenhaal, Keira Knightley and Robin Wright. Its audience last weekend was 55 percent over 35 and 54 percent male. The male-female split suggests that when "Everest" should also play well to adult women when it expands this weekend. Its story is inspired by the incredible events surrounding effortsin May 1996 to reach the summit of the world's highest mountain as two expeditions are challenged beyond their limits by one of the world's fiercest snowstorms ever. The action-adventure was shot at high elevationon the journey to Everest in Nepal, in the Italian Alps, at Cinecittà Studios in Rome and at PinewoodStudios outside of London. Working Title producer Tim Bevan was attracted to the "Everest"story when he read Jon Krakauer'sbook "Into Thin Air" soon after it was published in 1997.Krakauer, a journalist who was part of Rob Hall'sAdventure Consultants team on the mountain that May,had originallywritten about the Everest tragedy in an article for Outsidemagazine. Bevan's producing partner, Eric Fellner,shared his enthusiasm for the project. It also helpedthat Universal, the studio that Working Title hasa long-term distribution agreement with, owned other properties relating to the same events. bit like a Rubik's Cube. Every way you jangle it, there's another permutation that pops up. It was in danger ofbecoming one of those stories that would never be toldbecause of that fact, but it was truly a passion project for Working Title." At first,it looked like the movie would be made much earlier in the '90s with StephenDaldry ("The Reader") directing. However, it wound up taking until 2011 for all the elementsto finally come together so the story could be brought tothe screen. Screenwriters WilliamNicholson and Simon Beaufoy wrote ascript that was moving as well as action driven. New visual effects techniques enabled the production to show the staggering physical conditions on Everest withoutputting cast or crew members in danger. Bevan andFellner approached director Baltasar Kormákur, who wasin Los Angeles at the time shooting Working Title's 2012 action thriller "Contraband," starring Mark Wahlberg andKate Beckinsale. "Baltasar wasfar and away the man for the job. Hehad a commitment to bring the story to life authentically," says Nicky Kentish Barnes, a producer of "Everest." avalanches taking out villages on a regular basis remindyou of Mother Nature's might. Having traveled onhorses through the highlands of Iceland for weeks andno civilization in sight, I always wanted to tell a storyof people faced with the extremes of nature and thatway reveal their characters in a subtle way – learningmore and more who they are as they get deeper in. The opportunity appealedto him, Kormákuradded, because, "I wanted to make it inthe most authentic way possible. To take people on ajourney up Everest and show them the mountain in away that hasn't been possible until now and at thesame time create intimacy between the characters thatis all too rare in big studio films. "Everest is a metaphor for any kind of ambitionand anyone who has ambition needs to balance that withhis or her family life. There's the mountain and there'shome and the distance between the two is immense,pulling in two opposite directions." He was fascinated by those climbers who over the years have tackled Everest forthe glory of theexperience or to satisfy their desire to achieve a lifelong goal. "You might ask, 'Why do you need to climbEverest?' and nobody can really answer that. But youmight also ask, 'Why do you need to live life? Why do you need to have a career?' Even people who have a lotof money, they still need to have careers. So it's one ofthese questions that is hard to answer." Kormákur immersed himself in discovering whathappened that day on the world's highest mountain: "The story is so well known and well documented.But there are many different versions and they oftencontradict each other." 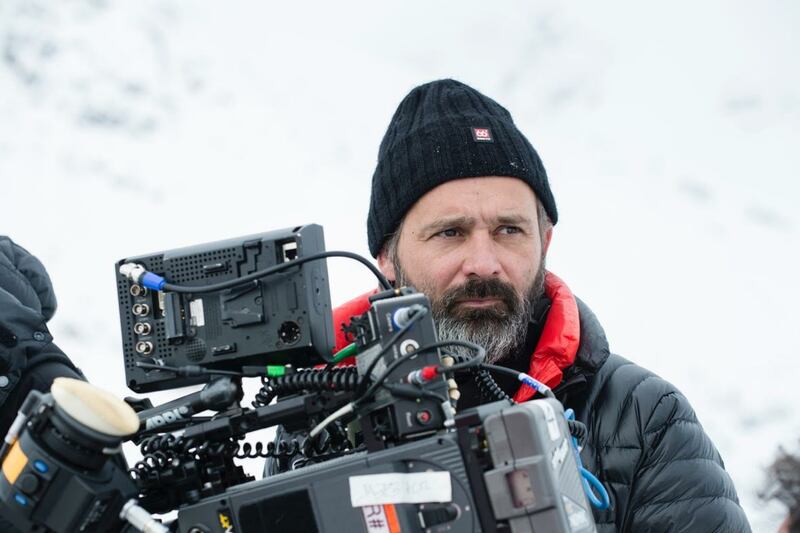 In working with his writing and producing team,Kormákur insisted that the film's story be structured so that it respected everyone concerned and honored the eight people who died on the mountain that day. Congestionon Everest has for many yearsposed serious problems for climbers. There were, in fact, 34 climbersfrom multiple expeditions trying to reach the summit on thatfateful day. None of them, unfortunately, could possibly have anticipated the suddenarrival of so disastrous a storm after what the day's earlierideal climbing conditions. When the 1996 tragedy unfolded, co-producer David Breashears happened to have been on the mountain co-directing and co-producingwhat later became the 1998 IMAX documentary short "Everest. "He, therefore, was able to tell the new feature film's cast andcrew exactly what the conditions were like on that historic day. deeply concerned about its authenticity and honoring the characters involved," he points out. they went through in reality. "Ultimately, all this struggle wouldn't be worth much if the story ofRob Hall and Jan, Beck, Doug, Scott Fischer, Anatoliand all the others was not handled in a truthful manner." 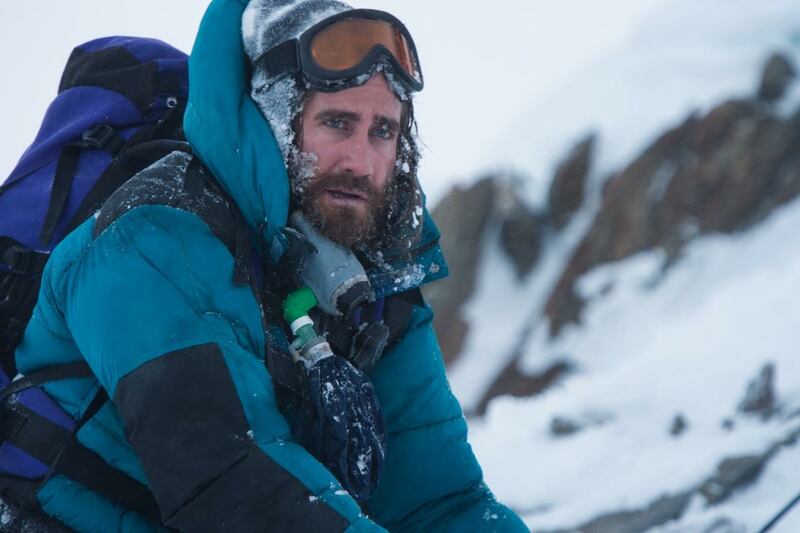 Jake Gyllenhaal, who plays Fischer, explains, "My interest in this movie has always been aboutthe people who climbed Everest on this expedition andtheir reasons for doing it. I thinkthe simple idea of climbing Mount Everest is exciting. But it's each person's reasoning for doing it that istruly fascinating. Everest begs the questions inside allof us -- What do we want to accomplish in our lives?What gives our lives meaning? This mountain, literallyor figuratively, asks that question to everyone. It's a metaphor for so many things and it is Mother Naturehumbling us." connection to the people with whom you are climbing. We don’t realize that we've summited already, in therelationships that we make. Sometimes, as in the case of this story, it's too late before you realize that." 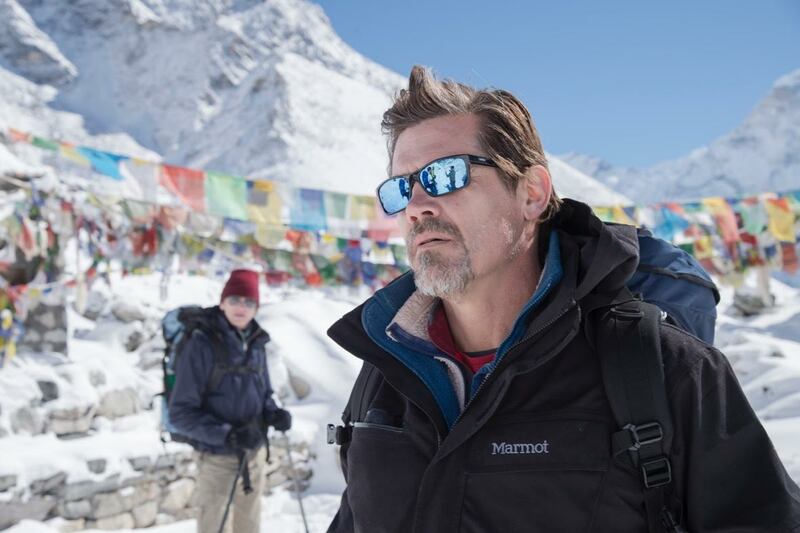 Bottom line:"Everest" hopes to see a mountain of cold cash at the boxoffice when it goes wide this weekend.